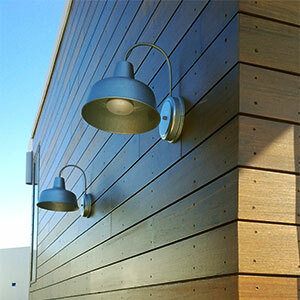 Regarding siding—a series of long, flat strips of squared wood or metal mounted vertically to an exterior wall, placed in frequent and equidistant spaces (example: 16” OC) and used to attach siding clips, which in turn hold the siding boards our from the exterior wall. 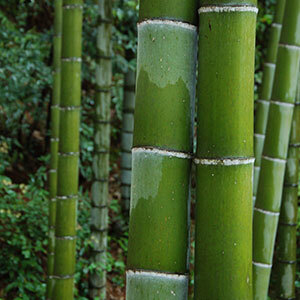 Carbonization is a heat-intensive method that works deeply on the very "sugars" within the bamboo (think sugar carmelization). A check is a crack in the surface of the lumber, which does not go through the depth of a plank. 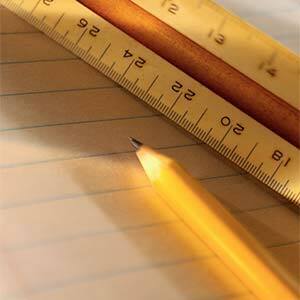 Checks are small and do not present a structural problem in the plank. 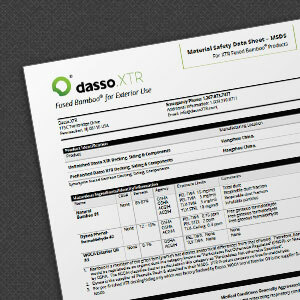 Checks are a natural occurrence in wood and natural lumber as well as on dassoXTR Fused Bamboo. 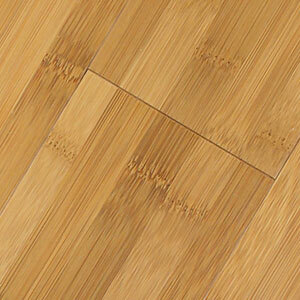 They can appear in natural wood or bamboo planks before, during, or after the construction of a project. Checks can be quite small or they can be rather long and noticeable. They can face upward or downward, and can appear on either the interior or exterior surface of the planks. Checks are natural and should not cause much concerns. 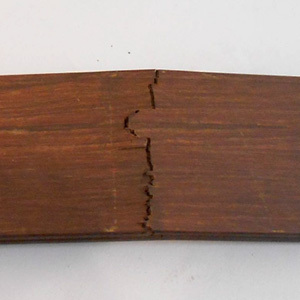 A crack, also often called a split, is larger and more severe, often passing through the thickness of a planks. These cracks are often due to damage to the plank itself, improper drying techniques, or structural loads that exceed its limit. The application of one material over another to provide skin or layer intended to control the infiltration of weather elements, or for aesthetic purposes. 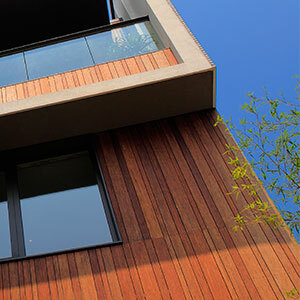 Cladding does not necessarily have to provide a waterproof condition but is instead a control element. 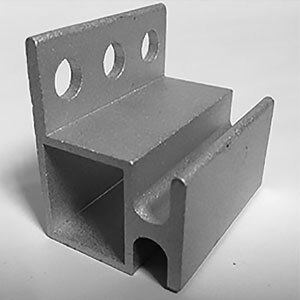 This control element may only serve to safely direct water or wind in order to control run-off and prevent infiltration into the building structure. Enlarge and bevel the rim of a drilled hole so that a screw can be inserted either flush with the surface or sit below the surface and topped with a plug. To drive (a screw, nail, or bolt) into a countersunk hole. A rate of decrease in deformation that occurs when load is removed after prolonged application in a creep test. Constant temperature is maintained to eliminate effects of thermal expansion, and measurements are taken from time load is zero to eliminate elastic effects. 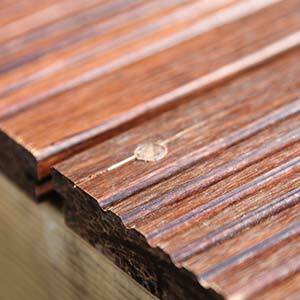 Dasso XTR decking was tested by a 3rd party using ASTM D7031-11. To finish (as flooring) at the end with a tongue and groove. Flexural strength, also known as modulus of rupture, bend strength, or fracture strength, is a material property, defined as the stress in a material just before it “yields” (breaks or cracks or ruptures) in a flexure test. 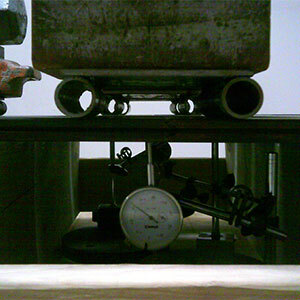 The transverse bending test is most frequently employed, in which a board is bent until fracture or yielding using a three point flexural test technique. The flexural strength represents the highest stress experienced within the material at its moment of rupture. 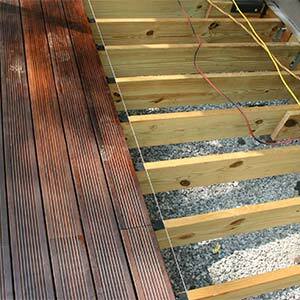 dassoXTR decking was tested by a 3rd party using ASTM D7032-10. dassoXTR Fused Bamboo® is manufactured using dasso's patented process which combines two stages of high heat to first carbonize the bamboo, removing all of the starch and sugar, and then restructure the bamboo, reinforcing its natural strength characteristics. 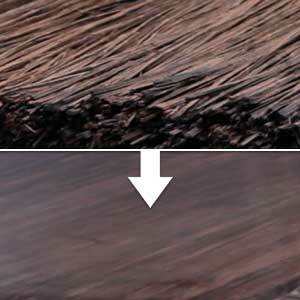 The modified bamboo strands are fused together using phenolic resin – the same resins used to make bowling balls. The result is an extremely dense, durable exterior-use product composed of 87% natural, fused strand bamboo fibers, and 13% resin (or as we like to say, 13% bowling ball). 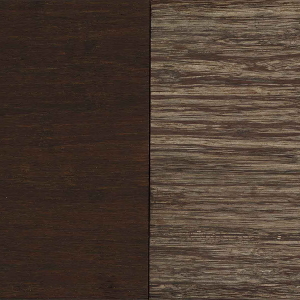 Although a composite material, dassoXTR looks and reacts like other natural wood products, specifically Ipe hardwood. 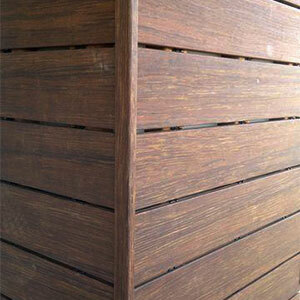 dassoXTR has a more flawless appearance than wood decking materials because bamboo does not have rays or knots. The consistent grain structure allows dassoXTR to distribute weight evenly, adding to its durability. A compound word modelled on "whitewash", or "green sheen", is a form of marketing spin in which green PR or green marketing is deceptively used to promote the perception that an organization's products, aims or policies are environmentally friendly. Greenwashing efforts can range from changing the name or label of a product to evoke the natural environment on a product that contains harmful chemicals to claiming the cheapest materials are used in the manufacturing process because they are eco-friendly. Greenwash claims inherently lack 3rd party verification or outside testing. The fabrication, installation or assembly of wooden parts in construction. How pieces are joined together. A length of timber or steel supporting part of the structure of a building, typically arranged in parallel series to attach and support a floor/deck or ceiling. In decking, joists are usually attached perpendicularly to a header board, and the joists are surrounded on the other three sides by skirting boards. Under the Lacey Act, it is unlawful to import, export, sell, acquire, or purchase timber, plant and wood products that are taken, possessed, transported, or sold: 1) in violation of U.S. or Indian law, or 2) in interstate or foreign commerce involving any timber or wood products taken possessed or sold in violation of foreign law or State law. The law covers, timber and wood products protected by the Convention on International Trade in Endangered Species of Wild Fauna and Flora (CITES) and those protected by State law. 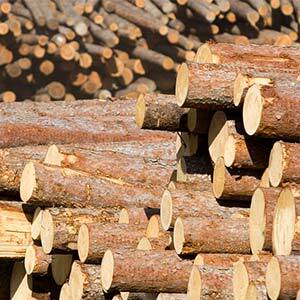 In 2008, the Lacey Act was amended to include a wider variety of prohibited plants and plant products, including products made from illegally logged woods, for import. Why the Lacey act is relevant to outdoor building products is because a tremendous amount of timber and wood products coming from South America are illegally taken in their country of origin – and therefore all US buyers are potentially in violation of the Lacey Act. Having your supplier and their brokers provide you reasonable supporting documentation that their sources’ sources and “sources’ sources’ sources” have taken the lumber/wood legally is extremely difficult with many suppliers hoping “we are Lacey compliant” on official looking letterhead will comfort the buyer enough to not pursue real documentation further. LEED Certification is a certification for construction projects initiate by USGBC (United State Green Building Council). LEED is not for products and services. USGBC does not certify, endorse or promote products, services or companies, nor do they track, list or report data related to products and their environmental qualities. LEED is a certification system that deals with the environmental performance of buildings based on overall characteristics of the project. 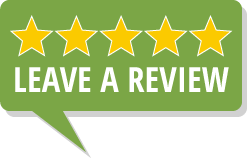 USGBC do not award credits based on the use of particular products but rather upon meeting the performance standards set forth in their rating systems. It is up to project teams to determine which products are most appropriate for credit achievement and program requirements. Although USGBC does not certify, promote, or endorse products and services of individual companies, products and services do play a role and can help projects with credit achievement. 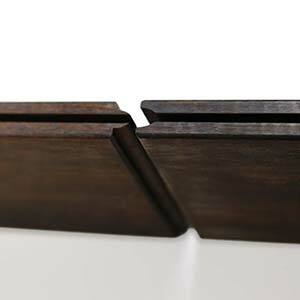 A miter joint, sometimes shortened to miter, is a joint made by beveling each of two parts to be joined, usually at a 45° angle, to form a corner, usually a 90° angle. 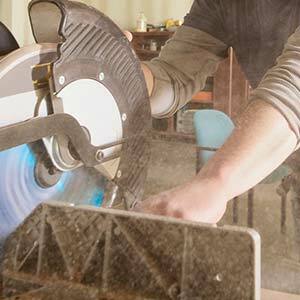 An important component of product stewardship and occupational safety and health. It is intended to provide workers and emergency personnel with procedures for handling or working with that substance in a safe manner, and includes information such as physical data (melting point, boiling point, flash point, etc. ), toxicity, health effects, first aid, reactivity, storage, disposal, protective equipment, and spill-handling procedures. A measurement that is a simple approximation; not the actual or real measurement – a 2 x 4 stud actually measures 1.5” x 3.5”, 2 x 4 is the nominal measurement. Abbreviation for "on-center", which means that an object (like a nail) is placed at the center of the mark. 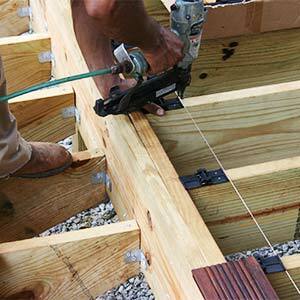 For instance, in building a deck, a building plan may call for the deck joists to be places every 16-inches OC. 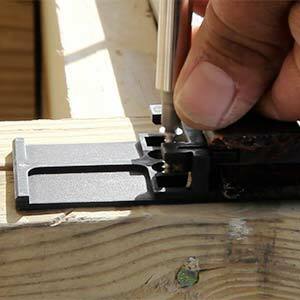 This means that the center of each joist is placed every sixteen inches. They are among the oldest of all penetrating finishes. 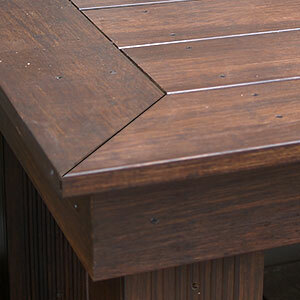 The oil finish leaves little or no surface build up and produces a natural soft sheen on the wood surface. Oil finishes should not be used over sealers or fillers. 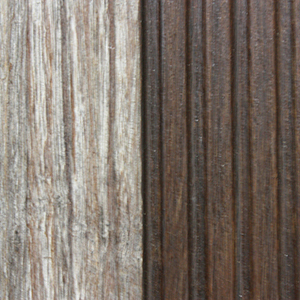 Oil finishes do not fill the pores of open-grain in woods. A piece of wood, cork, or other material, often cylindrical in shape, used to hide, mask or stop up holes that were created for taking a screw or nail. An exterior cladding infrastructure that sits away from a building's outside wall's weather-resistant barrier, creating an air cavity directly behind the cladding that helps to protect the buildings important weather-resistant barrier. A layer of plywood, boards or of other wood, or fiber materials, applied to the outer studs, joists, and rafters of a building to strengthen the structure and serve as a base for an exterior weatherproof cladding. 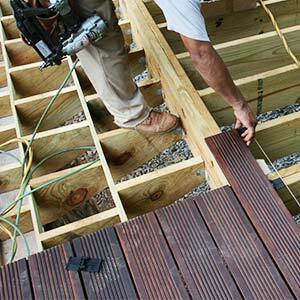 Joists are the horizontal members that make up the structural framing of a deck, floor, ceiling or roof. Joist span is the distance between the beams or boards. A joist span that is 16” OC measures 16” from the middle of one board on its edge to the next center of the board’s edge. 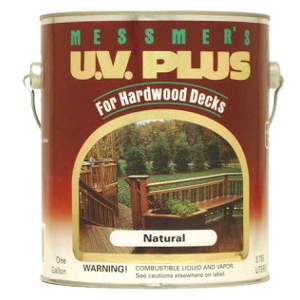 Deck finishes are either stains or sealers (see Penetrating Oil). Both seal out the elements. Sealers are usually non-pigmented finishes, and stains are available with a little pigmentation (referred to on the label as "tone" or “tint”), semitransparent, and in solid colors. 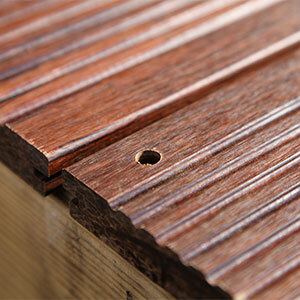 Stains penetrate the wood and can stand up to foot traffic. There are different grades and surface finishes of stainless steel to suit the environment the alloy must endure. Stainless steel is used where both the properties of steel and corrosion resistance are required. Type 304 is the most common grade of stainless steel; referred as 18/8 (18% chromium, 8% nickel) stainless steel. Outside of the US it is commonly known as "A2 stainless steel". Type 305 has fractionally more carbon and no nitrogen compared to Type 304. Type 316—the second most common grade (after 304), in addition to being suitable for food and surgical stainless steel uses, adds the additional alloy molybdenum which prevents specific forms of corrosion. It is also known as marine grade stainless steel due to its increased resistance to chloride corrosion compared to type 304.
dassoXTR, hardwoods, and exotic hardwoods will change color when exposed to the elements. 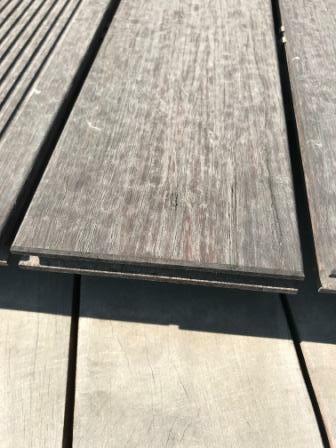 This color change, also known as greying or silvering, can be prevented by applying a finish to the decking – either a penetrating finish or a protective surface film. Companies that make these finishes often also make “brighteners” to remove greying/silvering before finishing. Clay is a finely-grained natural rock or soil material that combines one or more clay minerals with possible traces of quartz (SiO2), metal oxides (Al2O3 , MgO etc.) and organic matter. The earth is typically yellow, red, or bluish-gray in color and often forming an impermeable layer in the soil. It can be molded when wet, and is dried and baked to make bricks, pottery, and ceramics. 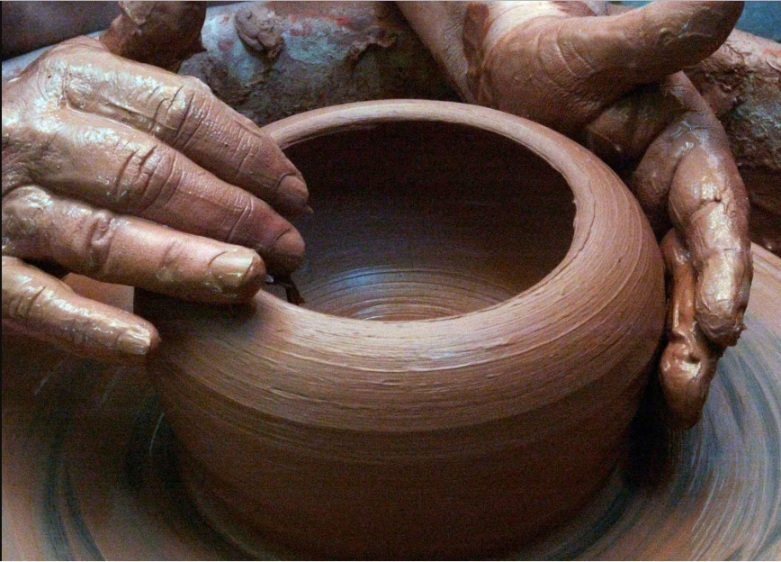 It is synonyms to china clay, kaolin, adobe, argil or potter clay. 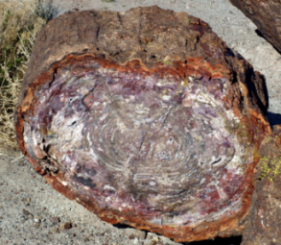 Petrified or fossilized wood is a wood that turns into Stone. It is forms over a long period of time when wood is buried in minerals rich earth, with minimum oxygen which inhibits decomposition. In this preserved state, minerals are sip into the tree replacing the organic materials with minerals like Silicate and quartz amongst others. As a result, the wood turns into stone or rock.